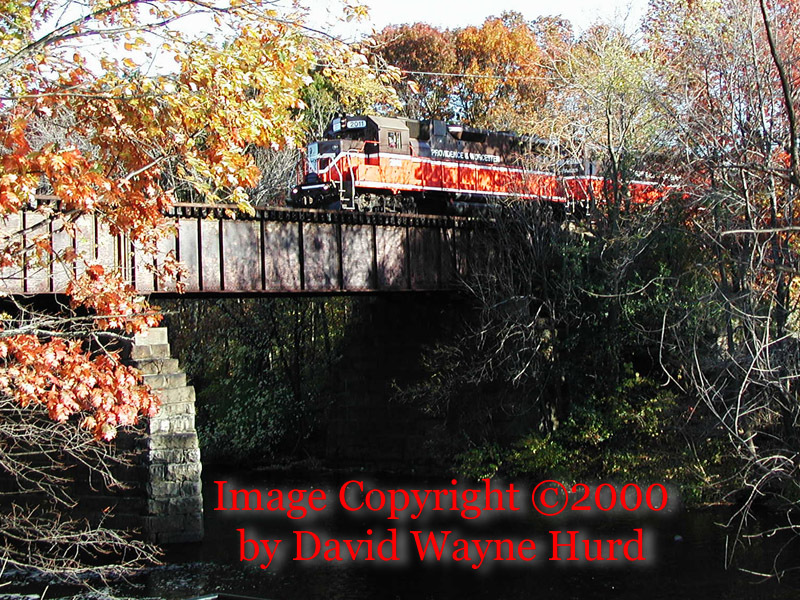 Dave Hurd's Railfan Depot - Circus Train Videos - Free! 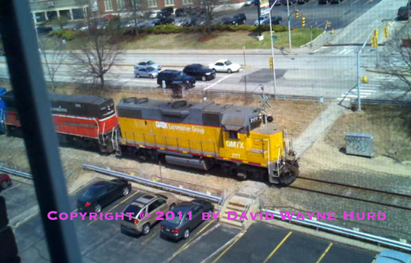 22 April 2011, 1:3PM - Providence & Worcester Railroad coal train of empties, southbound from the Bow power plant, shot from an office window at Dow Street, Manchester, NH on Friday, 2011-04-22. 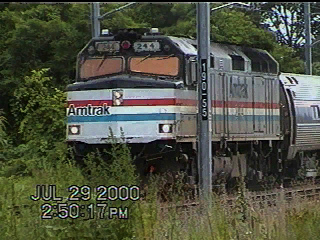 The video is pretty much just the headend power of GMTX 2177 (GP38-2), P&W 3008 (B30-7AB), GMTX 2624 (GP38-2), P&W 3005(B30-7AB), & P&W 2011(GP38), with a trainload of empty coal cars. Click on any image for a larger version of that shot. The link at left has historic information and a QuickTime Virtual Reality image of this area. I have a Limited Edition Set of 200 Giclée prints of the full panorama available for sale. Note that the panorama is that depicted by the link at left, not the thumbnail seen here. Write sales@historythroughphotos.com for further information. 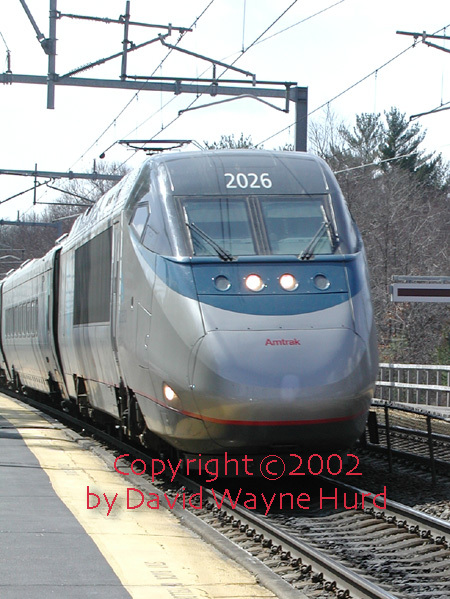 Some basic information that I have, from my collection, about the Providence Union Stations. 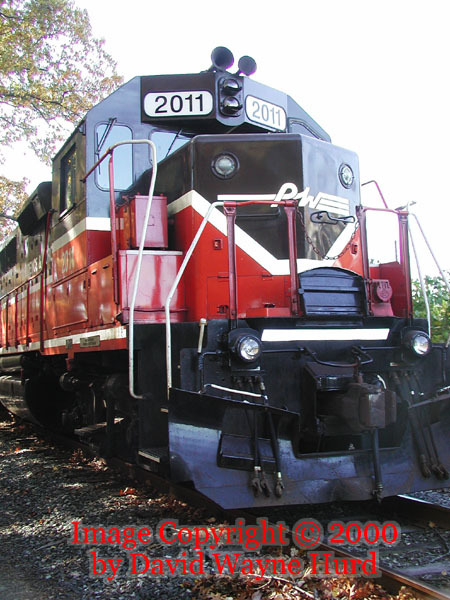 (left) P&W GP38 #2011, lead unit of the 28 October 2000 excursion train from Worcester, MA to the Roger Williams Park Zoo, Providence, RI. This image was shot with permission of the Railroad Police at the zoo stop-over. 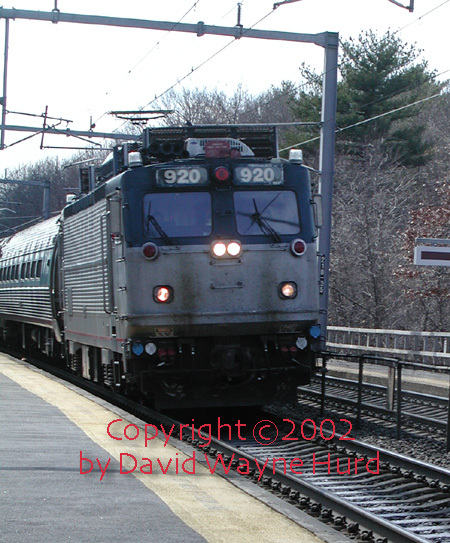 (right) This shot was taken of the consist on the return to Worcester, at Valley Falls, crossing the Blackstone River. Click on either image for a larger version of that shot. 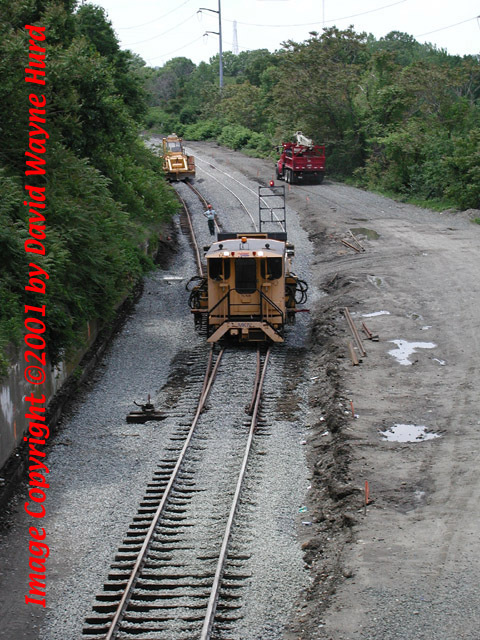 These shots were taken of the rehabilitation of the East Providence Running Track of the Providence & Worcester Railroad. The image at left is looking south, from the east approach to the Old Red Bridge. The image to the immediate right is looking north, from the same location. 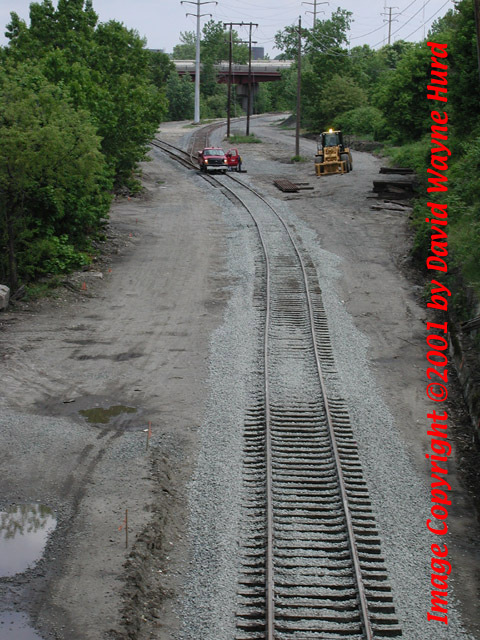 The image at far right is from the overpass, on the west side of the tracks, looking east. These video clips are quite large and can be long downloads on Internet connections slower than 56k. The thumbnails, which are actual frames from the video clips, are the same size as the video clips and show representative lighting. A free Apple Quicktime 4.1.2 Viewer can be downloaded from http://www.apple.com/quicktime/download/. Apple provides this viewer free for both Apple and Windows platforms. You will need this to view the Quicktime movie (*.mov) below. 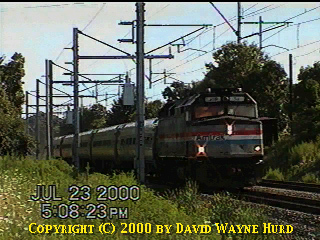 18 July 2000, 10:57PM - Amtrak's Acela Test Train, videotaped on a tripod at the Attleboro MBTA Station, Attleboro, Massachusetts. Resolution: 320x240 pixels. Length: 30 seconds. Lighting: fairly dark. Sound: yes. Filesize: 3.9MB. Filename: AcelaTestTrain.avi. 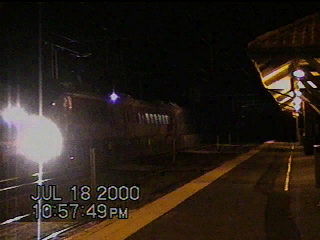 18 July 2000, 10:44PM - CSX Freight 6218, videotaped on a tripod at the Attleboro MBTA Station, Attleboro, Massachusetts. 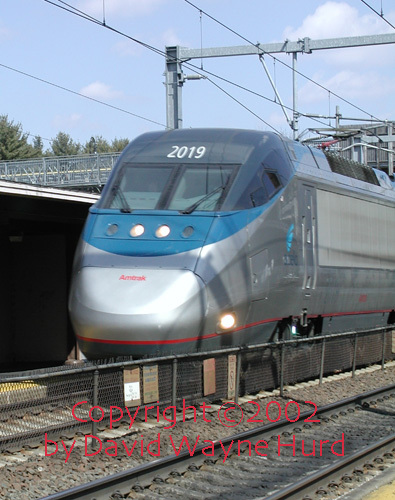 This train, with CSX 6218 heading and CSX 6228 on the tail, was clearing the mainline prior to the Amtrak Acela Test Train's run. Resolution: 180x132 pixels. Length: 39 seconds. Lighting: fairly dark. Sound: yes. Filesize: 3.9MB. 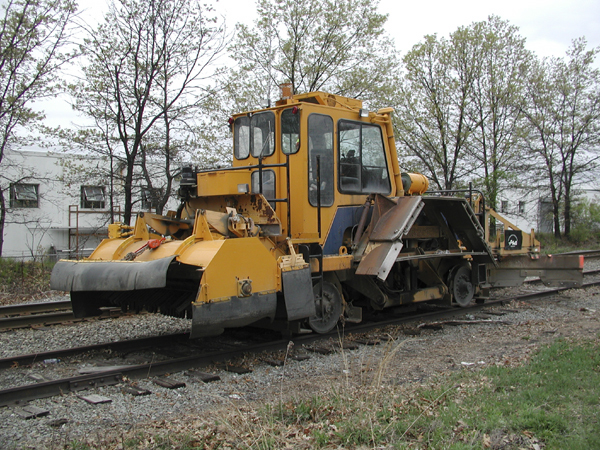 Filename: CSX6218.avi. 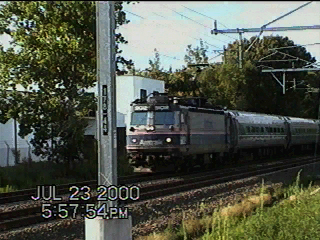 15 April 2000, 5:44PM - Amtrak's Acela Regional Train #133, videotaped handheld at the South Attleboro MBTA Station, South Attleboro, Massachusetts. 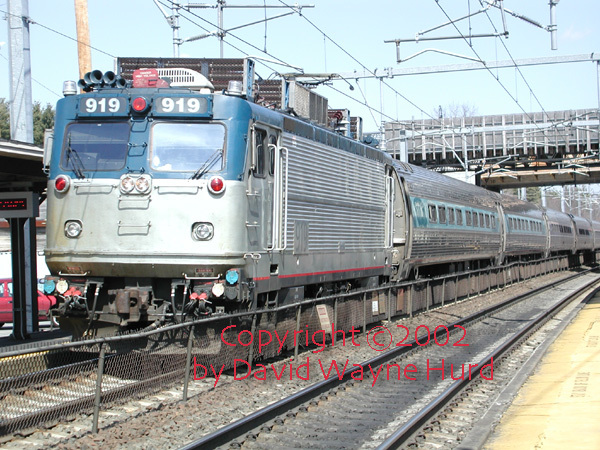 This train was headed by two F40PHR locos, leading a pair of AEM-7's, with their pantographs down. Cannot make the numbers on the AEM's. Resolution:160x120. Compression Format: Cinepak. Length: 52 seconds. Lighting: sunlit. Sound: yes. Filesize: 6.2MB. Filename: No longer available online, after having 258 accesses over the previous 11 months. I have recently purchased a number of slides of the Missouri Pacific Lines, from an estate auction online. It includes shots from onboard the open-deck carferry, Ste. Genevieve. The photographer's name is not known. I will have some pics from that collection online about early winter. 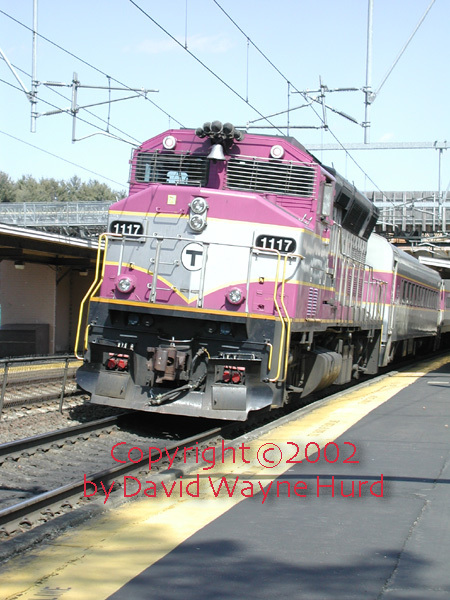 Providence & Worcester Railroad Discussion Group - join by sending an email to: providenceandworcesterRR@egroups.com This group discusses sitings, news items, links, pictures of P&W trains in the files section, special trains and a whole lot more. 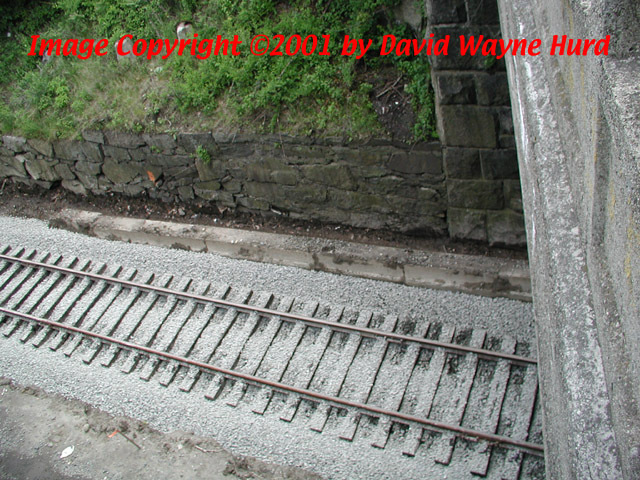 Webville and Hypertext Railroad Company - this website has a nice database listing of railroad reporting marks. 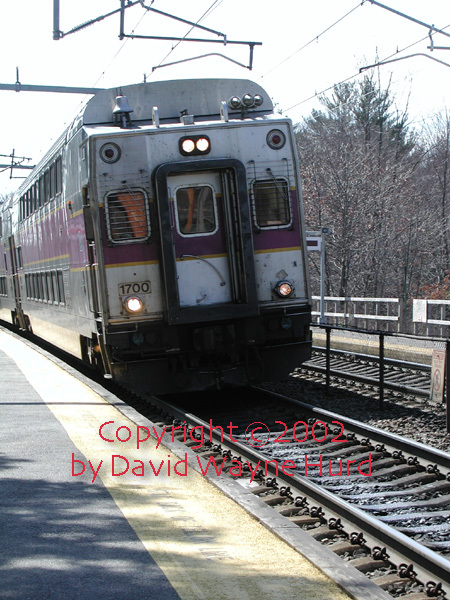 The Branchline Press Website, a small New England publishing company of historical and transportation titles. 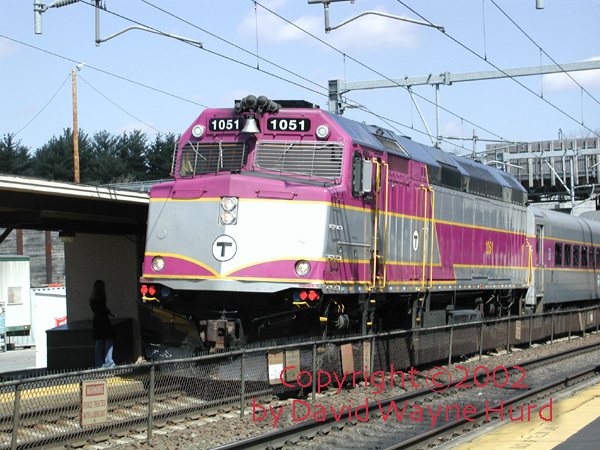 New England Railroading and Railfanning Discussion List (NERail) - this link will provide links to subscribe to the list and view the archived postings. Railway Age - Railroad magazine since 1876. 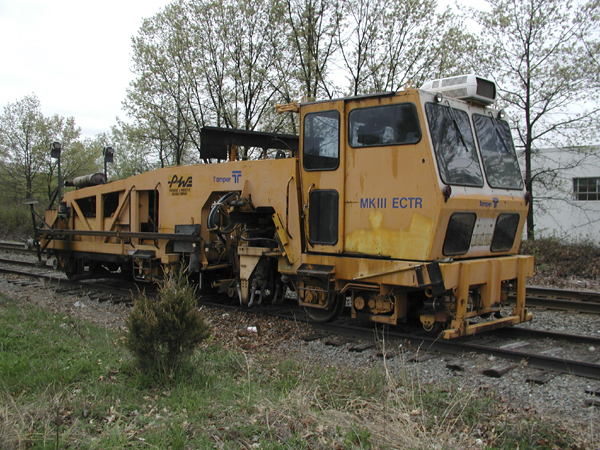 Kadee - The model railroad coupler, truck and car company. North Coat Engineering - manufacturer of DCC products. Wangrow Electronics - the makers of SystemOne DCC. 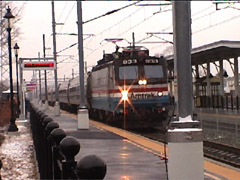 CVP Products - the makers of Railcommand System EastDCC.